The Rockville Historic District Commission voted last night to recommend that the New Mark Commons development be listed on the National Register of Historic Places. John Hansman, President of the New Mark Commons HOA, said his community's addition to the list would be perfect timing for its 50th anniversary next year. Hansman testified that the process began when he met a woman at his Bethesda church who had led the effort to list Carderock Springs. 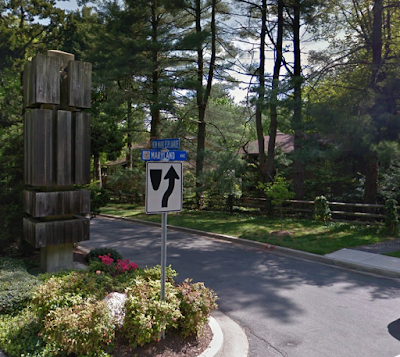 That Bethesda community just west of the Capital Beltway along River Road was also built by New Mark Commons' developer, Edmund J. Bennett. Not everyone is on board for the honor, however. One NMC resident, who said he was also representing several neighbors who couldn't attend, expressed concerns about the impact of the designation. Many in teh community were not aware this process was underway, he said. There is a substantial amount of deferred maintenance in the community, he reported, such as wooden fences that need to be repaired or replaced. He feared that being added to the list would be used as an excuse to not keep the community looking fresh. HDC Chair Rob Achtmeyer said maintenance issues are a problem in any aging community. He said that code enforcement by the City could address any of those upkeep problems that violate City code. Achtmeyer and preservation planner Sheila Bashiri assured the resident that he and his neighbors would have the opportunity to address the listing when the matter goes before the Mayor and Council, and when it is taken up by the Maryland Historical Trust. They also attempted to distinguish this honorary designation from the more-complicated historic designation, which requires approvals to make exterior changes to your home. Commissioner Jessica Reynolds said she was comfortable that the community had been informed, and the commission voted to recommend the community be added to the list.